Golden Ocean has agreed to swap two capesize newbuilding contracts for two suezmax contracts, which it will sell to fellow Fredriksen-led company Frontline for $55m each. The two tankers are scheduled for delivery in the first quarter of 2017. In addition, the Oslo-listed company says it has further delayed three capesize newbuildings and has suffered over $148m in impairment losses since the year began, according to its third-quarter financial results. Today, Golden Ocean said it has postponed delivery of three of its newbuilding contracts by 14 months in total. This comes in addition to the delays announced in May this year, when the company said it would reschedule delivery of 19 newbuildings by a combined total of 79 months. Golden Ocean currently has three ultramaxes, a 208,000-dwt super-cape and 16 capesize vessels of 180,000 dwt under construction in Asia. In April, it agreed to sell four capesize newbuildings. Three of the four have already been sold (Front Atlantic, Golden Finsbury and another), which incurred an impairment loss of $7.1m for Golden Ocean in the third quarter. The sale of Front Atlantic in August resulted in a loss on disposal of $2.3m, which brings Golden Ocean’s losses on vessel sales up to $9.4m for the quarter. 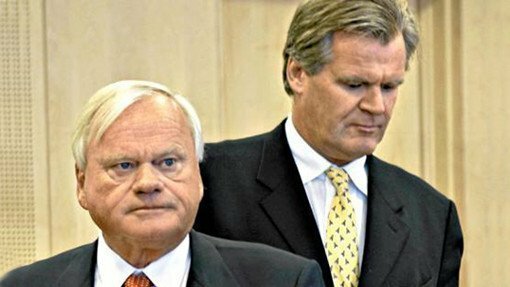 Golden Ocean’s year-to-date results show the Norwegian owner has suffered impairment losses of over $148m between January and September this year. This includes the aforementioned sales and eight capesizes sold to Ship Finance International in April for a combined $272m or $34m per vessel on average.